In the past three years Rawson Developers have successfully launched several developments in the already densely built up Rondebosch precinct where demand for accommodation is at a premium. 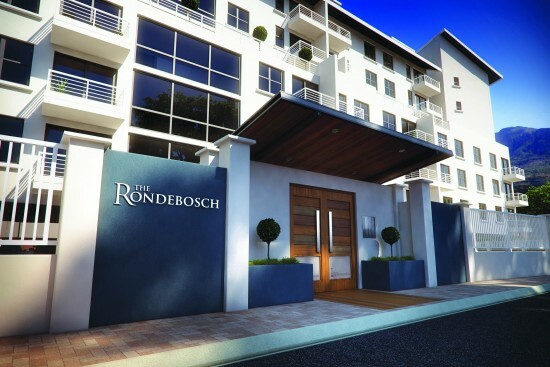 Rawson Developers’ latest development, The Rondebosch, a 166 apartment complex consisting of 1, 2 and 3 bedroom apartments of various sizes including stunning lofts, is situated next to Riverside Mall and only meters from the iconic fountain. “Along with our other two developments, River’s Edge and Rondebosch Oaks, now into its second phase, The Rondebosch, together will be adding 346 new apartments to the Rondebosch precinct,” says Paul Henry, Managing Director of Rawson Developers. “The positioning of The Rondebosch is ideal as it is within easy walking distance of both the Newlands Rugby and Cricket grounds and the University of Cape Town, as well as some of Cape Town’s most well-known schools. Its proximity to all amenities including excellent restaurants and two large shopping centres makes it ideal for anyone wanting to be in the centre of the action,” add Henry. Not only are these developments providing a welcome boost to accommodation in the area, they are also contributing to further enhancement of the suburb and an increase in property values. The apartments have modern finishes and each has a balcony with magnificent mountain views. With 24-hour manned security, fingerprint access into the building and secure parking bays, The Rondebosch creates a secure haven in this historic suburban area. “There has never been any difficulty in finding tenants in this area and demand for accommodation is bound to increase,” adds Henry. Students can expect to pay from R4 500 a month rental for a single bedroom flat.